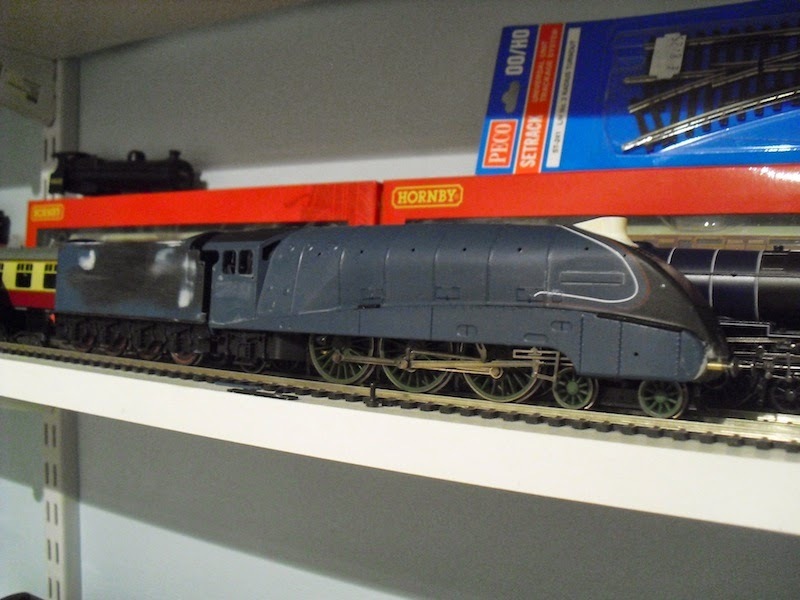 THE BRITISH RAILWAY STORIES LTD: "More updates on a few A4 models and the range of etches"
"More updates on a few A4 models and the range of etches"
The tenders are starting to get there. It's a long story with the paint - involves a few Bugatti enthusiasts, some paint swatches, lots of debate about adding white to mixtures…but I had a very special paint mixed up for me to paint my A4s in. 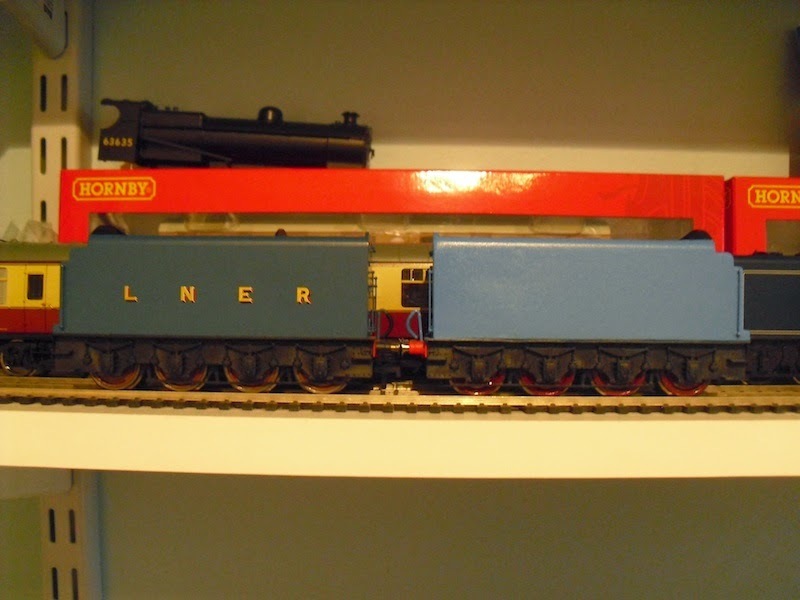 The idea behind the full repaint is to offer something closer than either Railmatch, Precision or Hornby in their shades of "Garter blue" - which I would argue was never such, and probably should have always been described as "Bugatti blue". 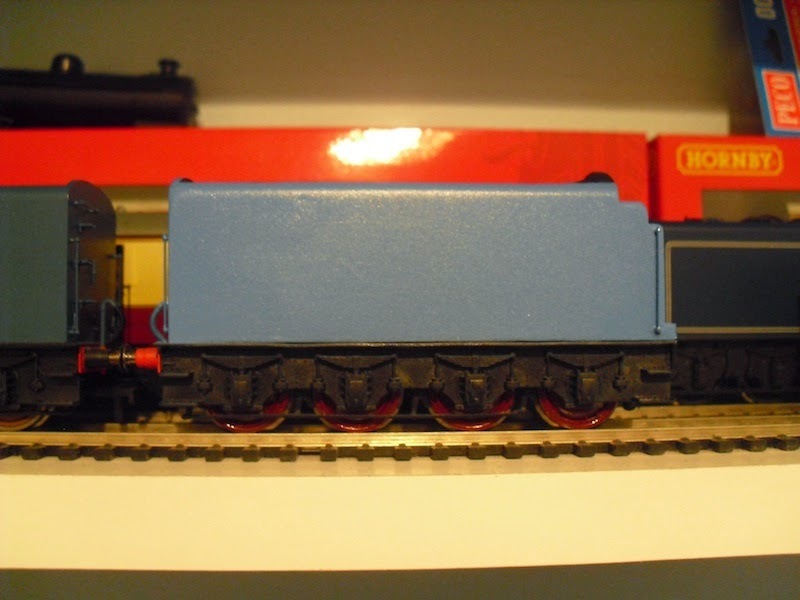 Anywan, here is prototype 2's non corridor streamlined tender in its blue livery, on its way to be painted. 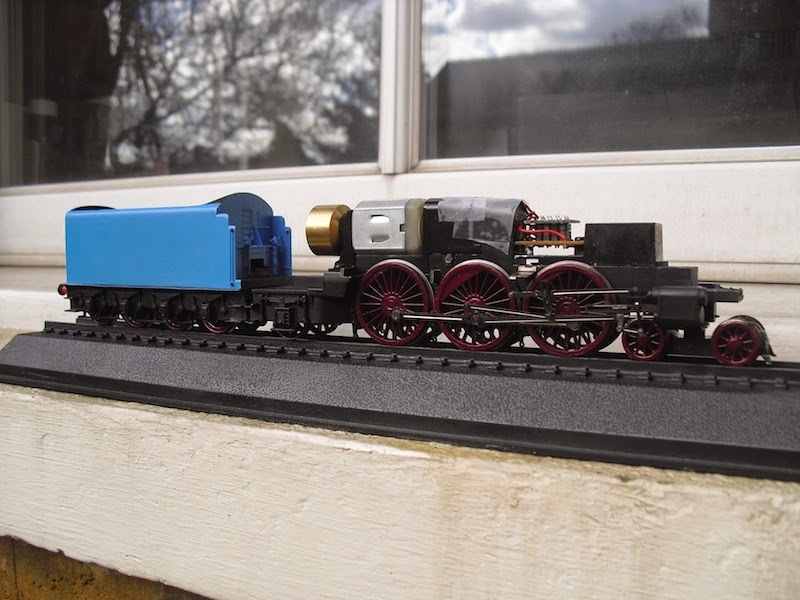 The difference in shades of blue compared to the Hornby model is startling. The level of detail however, with handrails added, is virtually the same. 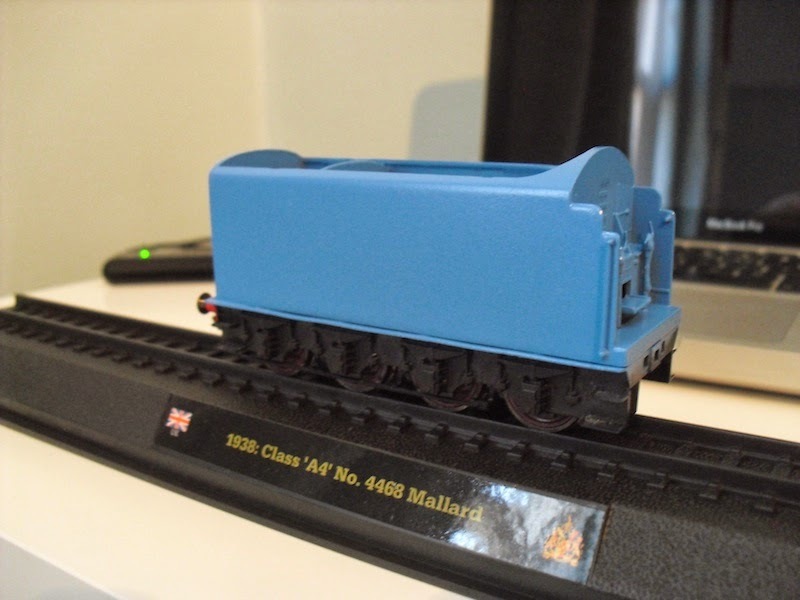 Cheap knock off tender body shell suddenly looking the part! 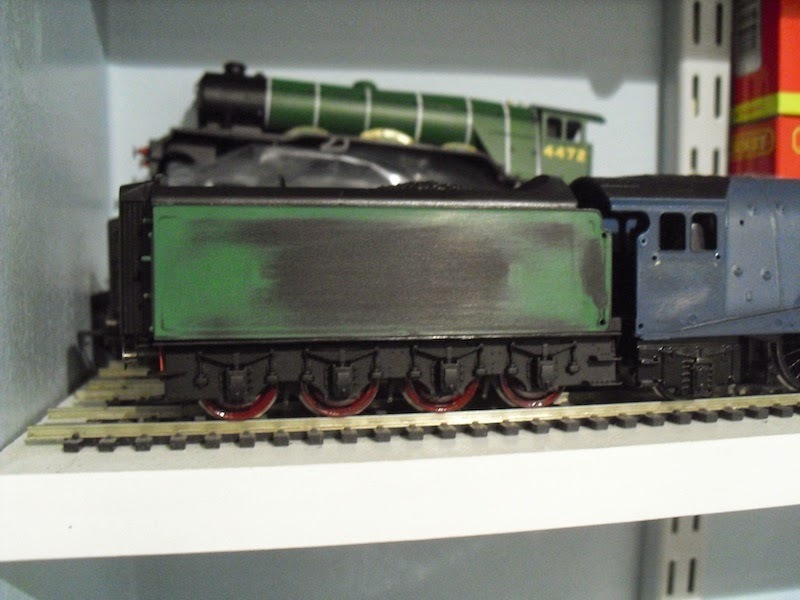 In addition, the wheel sets have been painted using Humbrol gloss no.20, which to me looked a better match than that on the Hornby A4 models I have seen recently. 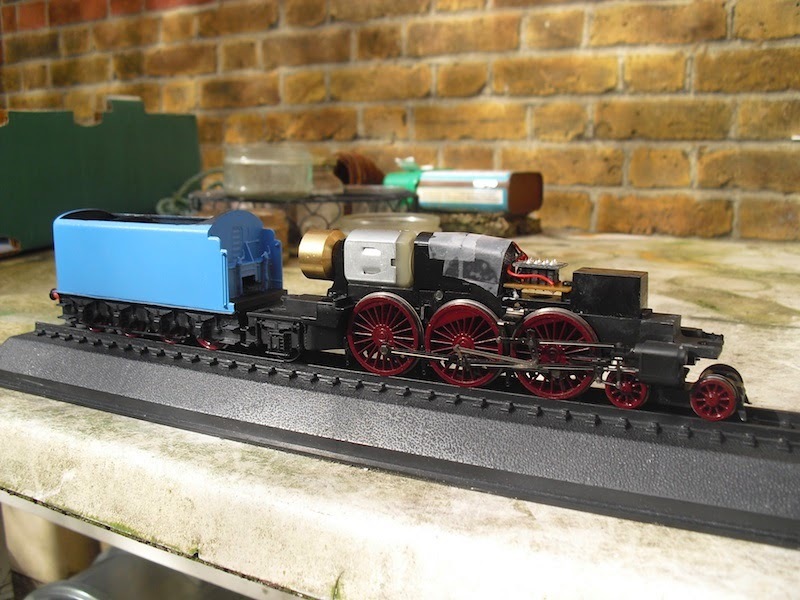 Finally, prototype 1 now has its own tender, well on its way to joining the prototype 2's tender in the paint shop. 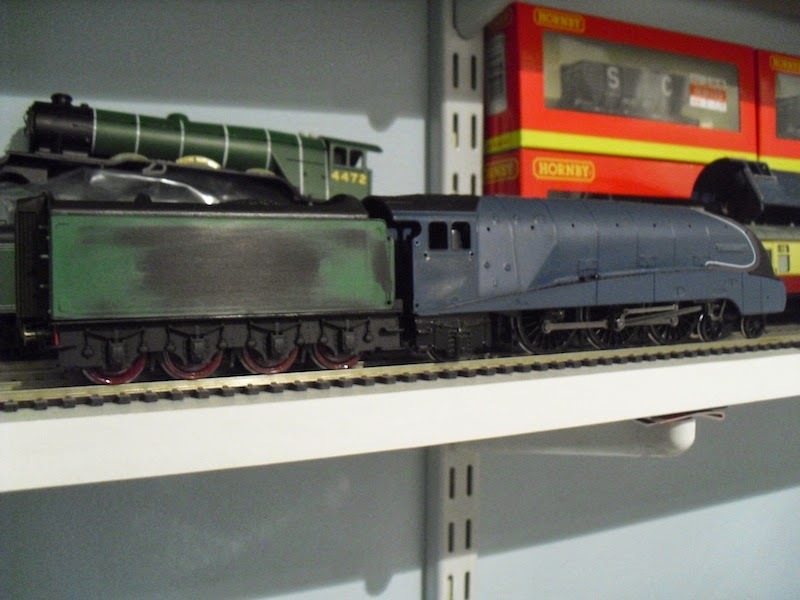 This uses the GBL 4472's tender body shell, in conjunction with a set of spare Hornby frames (the correct type with the wing shaped rear steps). Again, the wheel sets have been painted using Humbrol gloss no.20. This model is now likely to retain its valances as it's going to remain a solitary one off with its chassis I think. That's it for the moment. If you haven't been invoiced for any of my A4 etches, by the way, fear not - you won't necessarily have missed out. I am working six day weeks at the minute and have had very little time to sort out the orders. Last week I managed to get a few sent off, next Sunday I will do the same again…it's taken four months to get through a list of twenty people. I apologise profusely for the delay, unfortunately holding down a full time job (and doing more than 35 hours a week at the minute too) is taking its toll a little bit. 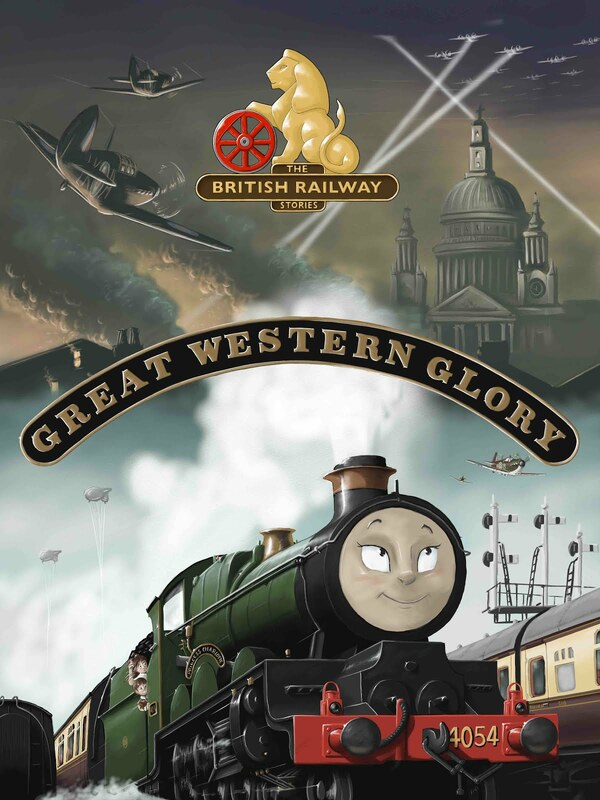 Next time I will go into more detail about the possibility of new etches and a few re-designs of older ones.